June 02, 2018 at 10:04 pm. 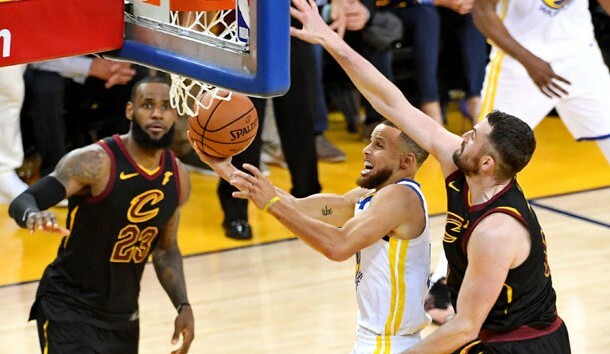 OAKLAND, Calif. — Two teams still a bit dizzy in the aftermath of one of the most amazing finishes in NBA Finals history will tip off Game 2 on Sunday night when the Cleveland Cavaliers attempt to even their best-of-seven against the Golden State Warriors. The Warriors got all three of their big guns going offensively, with Stephen Curry (29), Kevin Durant (26) and Thompson (24) combining for 79 points. Golden State shot 51.1 percent in the game and outscored Cleveland 39-30 on 3-pointers despite shooting one fewer.